It seems like we are on a rollercoaster with this subject. Nevertheless, we have one more lesson prepared by IM Boroljub Zlatanovic. He has prepared the second part of the lesson “Weak Squares” for you. 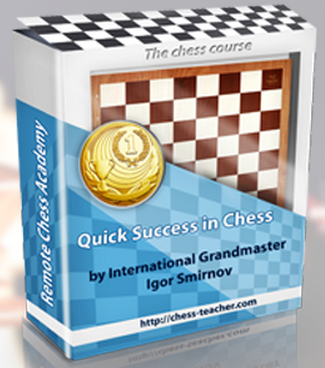 This time, he will teach you by showing you a great example – a game played by one of the greatest chess players ever, Aron Nimzowitsch. 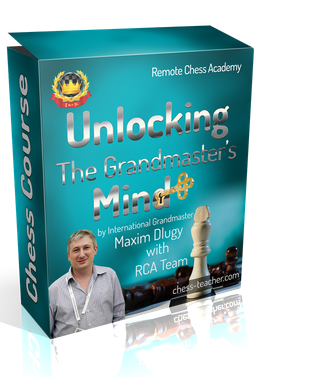 A few days ago, we launched a FREE e-book for you called “Chess Opening Fundamentals”. This e-book is a collection of RCA opening articles and video lessons. This e-book contains simple, yet very practical tips to make your opening play powerful and error-free. You can find more info. about this e-book and download it here. Now that I have already provided you with some unique advice on how to improve your opening play in the e-book, you might want to improve even further in this field; therefore, I recommend that you study our opening courses. 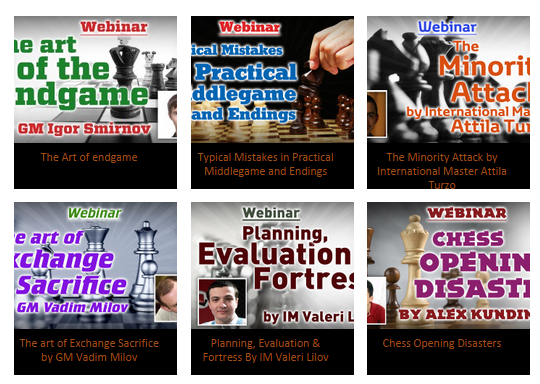 Since I know that, for some of you, it might be difficult to pay the full price for some of my courses, once again I’d like to help you improve your opening skills by providing you with a huge 30% DISCOUNT on all our opening chess courses! Why should you study our opening courses? Moreover, you’ll get a 30% discount! Grab the opening courses with this discount! Note: the courses shown in the above link are already at their discounted prices. Therefore, you need not use any coupon. I’d also like to make another important note. “The GM’s Opening Lab-2” is an independent, stand-alone course. Therefore, it is NOT mandatory to take “GM’s Opening Lab-1” prior to taking this course. Reason-1: Together with the course, “The GM’s Opening Lab-1”, it gives you a COMPLETE opening repertoire – ALL the openings you need. Hence, you will get All-In-One, which will ultimately save you an awful lot of money. Reason-2: No matter what I write here, sceptical people may think that it’s just a self-advertisement. That’s why I will not write anything else. Instead, let me provide a small conversation between two people. I took the following screenshot from this page (scroll down it to the comments area). In addition to that, now you get a MASSIVE 30% discount on this course (along with all other opening courses). Note: this offer will be valid from today (20 April) until Monday, 25 April only. When you come to play a chess game, it’s important to start it properly. Otherwise, you risk falling into an ‘opening disaster’ and lose your game quickly. There are plenty of tutorials that show you tons of different opening variations. It seems helpful. But how can you remember all that information? In reality, it can rather confuse you than help you. That’s why we have created an e-book called “Chess Opening Fundamentals”. The e-book is a collection of RCA opening articles and video lessons. This e-book contains simple yet very practical tips to make your opening play powerful and error-free. We have made it very simple for you by providing all our opening lessons into a single e-book. Even if you had studied these lessons in the past, it’s always better to study them again to digest the ideas well. Simply put, it’s time to brush up on your opening knowledge. The e-book is completely FREE and is available for download. You can download the e-book now by clicking here. Finally, I just wanted to mention something. We really did put some efforts into creating this e-book, thereby providing you with all our opening lessons into a single ‘capsule’. Therefore, after studying this e-book, please let us know your valuable feedback about it. You can write in the comments below or leave us a message here. Happy Reading! There might be some points during a chess game when you are stuck in a position and cannot think of the right plan to continue. To help you out, our guest coach IM Boroljub Zlatanovic has prepared a video lesson for you. In this lesson, Boroljub will show you a game played by Mikhail Botvinnik against Alexander Konstantinopolsky. In this game, Botvinnik finds the RIGHT PLAN at a particular position where he had to find and play the right moves in order to win the game. Additionally, you will witness a battle between a good knight and a bad bishop.